Have a testimonial of your own to share? Scroll down and fill out our short testimonial form. 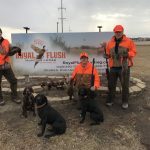 I usually give 3 or 4 star reviews when I'm endorsing anything, but Royal Flush was exceptional... We went with a group of about 12 guys last November and had a great time. The food, drink, hunting, and housing accommodations were all good, but what really made the trip was the staff and the owner, Charlie. It's a well equipped establishment with a laid back atmosphere and friendly hosting staff. Looking forward to going back to the lodge this November. Charlie - Thank you for the excellent treatment, we came away from your lodge and outfit feeling like family. It was a pleasure interacting with you and everyone at Royal Flush. To top it off the hunts were amazing. Thank you again! We would like to thank everyone at royal flush for the absolutely outstanding experience. Everyone had such a great time. It’s great to see a family owned and operated business like Royal Flush. Happy Holidays. Having Charlie the owner of (The Royal Flush Hunting Lodge) and his staff work with us on a special hunt for our veterans was outstanding. Charlie donated the lodge, his time along with all his employees. to make sure our hunt was successful. There was plenty of land to hunt and the food and service were great. The accommodations were more than we could ask for. The guides and their dogs they provided were some of the best. I would highly recommend The Royal Flush Hunting Lodge to anyone looking for a good time and a great hunt. Royal Flush Hunting Lodge is a wonderful place for a hunt. 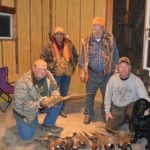 The accommodations are comfortable, the service is excellent, and the location is great for access to some of the best hunting in the area. This is the place you are looking for! 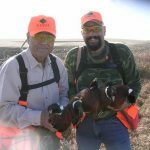 The night before we took the field, Charlie met with my father and I to learn what type of hunting experience we were looking for. He and his staff then delivered upon that which we were looking for. Our guide, Curt Kline, really put us on the birds. He is incredibly knowledgeable about Pheasant and their habits. We truly enjoyed his company and I am happy to now consider him a friend. The price can't be beat. The facilities are CLEAN-CLEAN-CLEAN. You definitely get your $$$$$ worth! We will definitely be back! "We will definitely be back!!! My group had a great time. After going here a few times, I consider the guys to be great friends that treat you like family. They go above and beyond to make sure you have an enjoyable experience. I highly recommend giving them the opportunity with your group!"